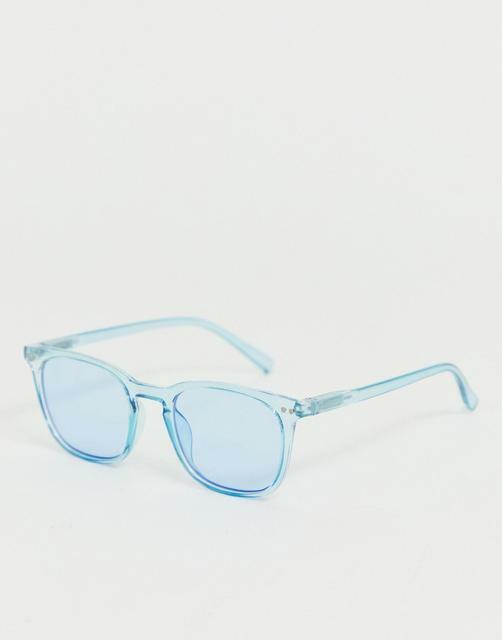 Sunglasses by AJ Morgan, Don't squint your way through summer, Square, transparent frames, Moulded nose pads for added comfort, Blue-tinted lenses, Slim arms with curved temple tips for a secure fit, Some UV protection. Founded in 1981, AJ Morgan have made a name for themselves as one of America's leading eyewear companies. Featuring in numerous iconic films and TV shows, AJ Morgan focus in maintaining the highest quality and material standards whilst creating eclectic designs alongside updates of classic rectangular and Aviator frames.